Such a nice feeling to be back home! Especially with a happy husband next to you:) Besides Erwin's result, we also had great time. The tournament in Hoogeveen is organized in a very professional way - but at the same time the atmosphere is very laid back and relaxed! Today I managed to make a few more pictures from the Unive Chess Tournament in Hoogeveen. Click on the pictures to enlarge them! For more information: results, standings, games, visit the official website! The trophy for the first place in the Crown Group! A. In which game did this position arise? C. How should White proceed? Bonus question: During which tournament was the picture taken? Bonus question: Drawing of lots, World Championship, 1948. The tournament was played partly in The Hague (from March 2-25), and partly in Moscow (from April 11 to May 17). As mentioned in his comment, Alan Benson successfully recognized them all and even more. You can try to answer his question by checking last week's Trivia comments. But what if we could also make something which will look like a chess board?! I thought i would write about a different way of making sandwiches. Very simple to make, anyone can give this ago. The fillings you can choose yourself and put in whatever you or children like. Here`s my chessboard sandwiches with a couple of fillings that you can choose for. I will come back with my own picture, after the tournament. It will be bigger and more clear. This one is taken from internet. For the fillings, beat the butter with the mayonnaise, divide in half. Stir in the chopped eggs into one portion. Mix the cheeses and the chives into the other portion. Season both of the fillings with the salt and pepper, to how much you like. Make the sandwiches using one slice of brown bread, one slice of white and one filling for each. Remove the crusts and then cut each sandwich into 4 squares. Arrange them in to layers on a square cake board or plate, alternating the brown and white sandwiches to creat a chessboard effect. 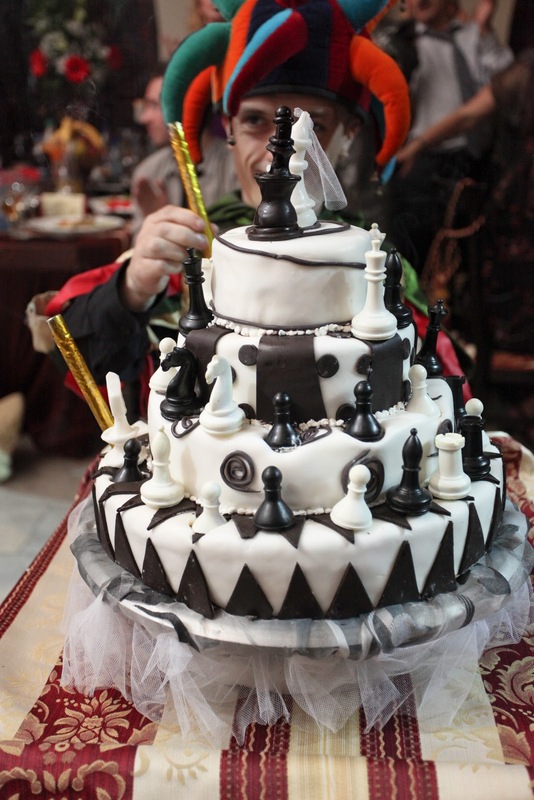 There you have it quick and easy to make, and your guests, chess players or not, will enjoy them! Today the internet connection is faster, I could finally put the pictures made in the first day. A bit late, but it's better than never:) Click on the pictures to enlarge them! Playing Hall, all the "H"-s represent the city's new slogan: Hoogeveen with a capital H! Further on you have some pictures, to make an idea about the location, organization and so on. I spent just one day here so far, but I can already say I feel wonderful. Hotel, playing hall, food and in general entire organization is exemplary. And...the promised pictures cannot be uploaded unfortunately:( Internet connection is too slow for that. I will try again tomorrow. I am still packing a few things and we are ready to go:) I won't be able to write that much I am afraid...I will try, but my priority is the tournament of course. But when I will be back, I will surely have many stories, games, problems to post! As I promised last week, when I published the question: "What do Bobby Fischer and Barbra Streisand have in common? ", here I am with the answer. As you have already mentioned: Poekie (wikipedia), Brother in law (jewish origin) and Brian (same Erasmus Highschool), that's the correct answer. They both have a jewish origin, although Fischer made occasional hostile comments towards Jews from at least the early 1960s, and they both finished the same Erasmus Highschool in New York. Raymond Weinstein (born 25 april, 1941), International Fide Master (title awarded in 1962), attented the same Erasmus Highschool, where he was two grades ahead of Bobby Fischer. Weinstein defeated many top players such as: Reshevsky, Pal Benko, Arthur Bisguier and Robert Byrne, drew with Fischer, but his best result came in 1960-61. He finished 3rd in the US Championship, after Fischer and Lombardy, which gave him the opportunity to play in the Interzonal Tournament, held in Stockholm 1962, though neither he nor Lombardy played. He had a degree in Psychology, was fluent in many languages and had a very good memory. He travelled to Amsterdam to take his master degree, where he was arrested for assault. Dutch chess author Tim Krabbe has identified the victim as the Dutch psychology professor and International Master Johan Barendregt. Because of this incident he was deported back to United States. In 1964 he killed an 83-year old man in a nursing home with a razor. Raymond went to trial and was judged menatlly ill. He was confined to a psychiatric hospital in Manhattan's Ward Island, where he remains to this day. I have to go tomorrow, so I cannot leave you with your "eyes in the sun" (roumanian expression). That means I am gonna write down the solution for the chess problem I posted yesterday, which gives me a very nice feeling, the study is really great! 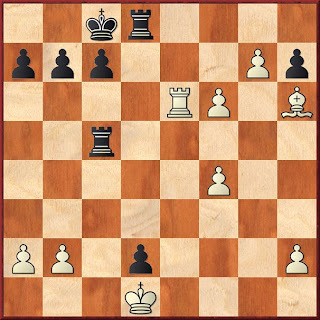 Forced, since 1...Kg6 2.Bh5+ allows White to control f7-square and savely queen on the next move. Again forced, 2...Kh7 allows White promotion: 3.Bc2+ Kg8 4.d8Q winning. So White just gave up his knight, what could be the point? Isn't this going all wrong for White? First giving up the knight and now losing his only tool; the d-pawn? 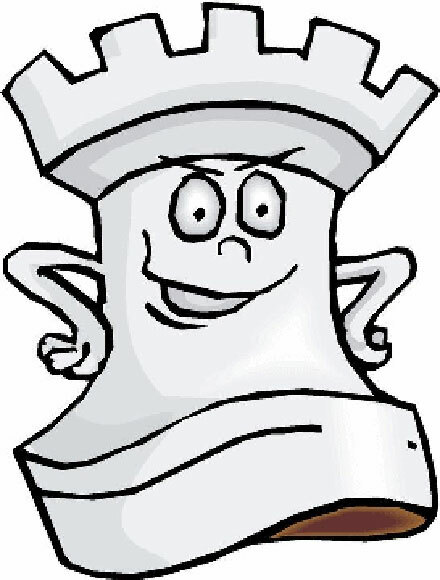 Altough losing most of his material White did manage in cornering the Black king. First of all Black has to prevent a looming mate on d1! 7.Be4 Threatening mate, this time on f3. 7...e1N! Only move, preventing the mate. I cannot stop smiling, 3 black knights on the board! This is what I like most from the whole study: a quiet but very strong manoeuvre, planning to go to c4 and e2 mate! Look at those helpless knights! 9...c1N :))) and another Black knight on the board! number 4! The Bishop just keeps dancing! 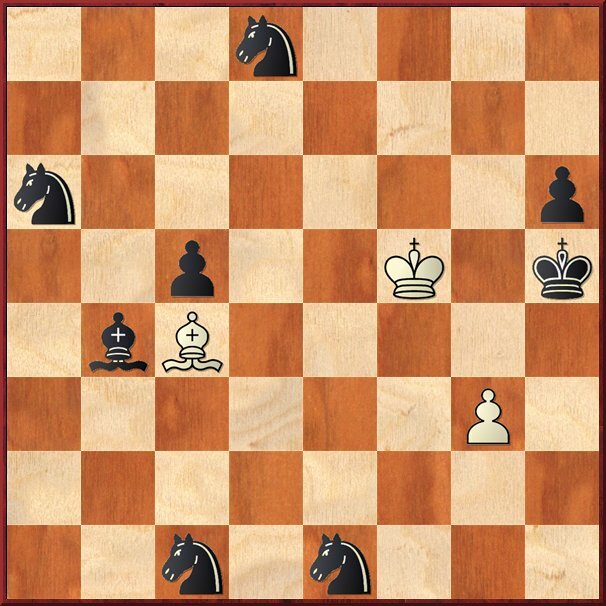 11.Ba4 White's bishop is dominating the entire board and mate is now unavoidable, the knights are spectators, unable to save their King! THE END! I loved how White's bishop confused all Black's pieces! Irina Bulmaga, waiting for 1st round to start! Today is the first round for our Roumanian and Dutch delegations in the World Youth Chess Championship! The tournament is taking place in Porto Carras, Halkidiki, Greece, between October 20 (first round) and October 30 (last round and closing ceremony). I wish all of them GOOD LUCK, to fight until the end and we all hope to see on the way back at least 2 gold medals! (one for Roumania and one for The Netherlands:). 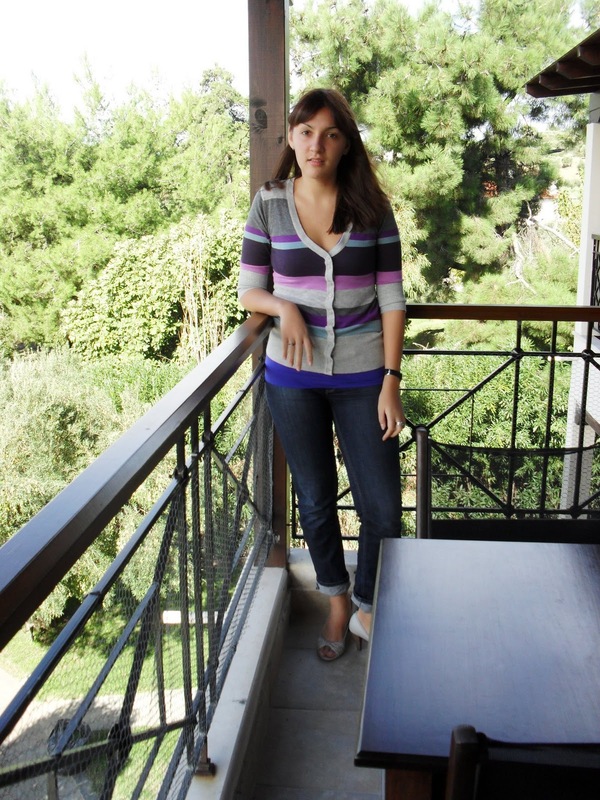 I will keep an eye on my friends Irina (see picture) and her sister Elena Bulmaga, I already have my fingers crossed! More details about the tournament you can see here! Knowing myself, I wouldn't like to see, by mistake, or to be told the solution. I like to discover it myself, to enjoy the struggle in finding the correct moves. I can say I almost hate when someone comes and shouts the moves, especially when I feel I am close to solve it! Claymation of the chess game Roesch - Willi Schlage (Hamburg, 1910). The position after 13...Bh3, and the ones that follow, were used in Stanley Kubrick's movie "2001: A Space Odyssey" for the game between Frank Poole and the HAL-9000 Super Computer. Probably almost everyone knows this chess video made by Pixar, which shows how chess can be our happiness and bitterness at the same time. It reminded me also what Vlastimil Hort used to say: "I believe that Chess possesses a magic that is also a help in advanced age. 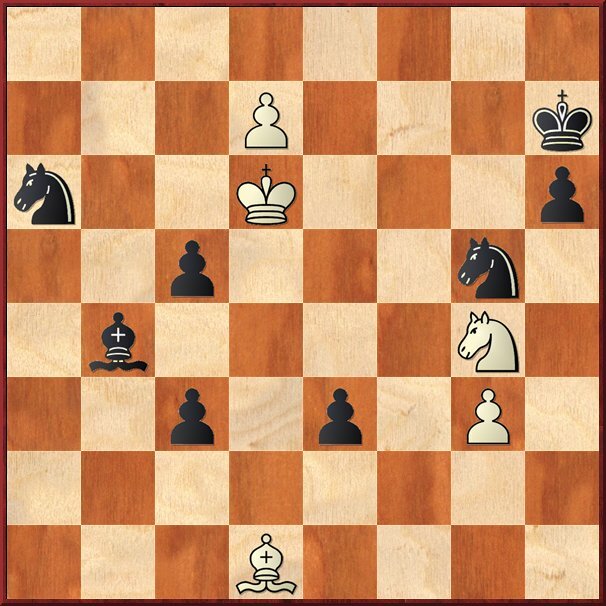 A rheumatic knee is forgotten during a game of Chess and other events can seem quite unimportant in comparison with a catastrophe on the chessboard". This chess video, called: "Entry - IMPOSTOR! ", is an IRTC animation made by Bernard Hatt. I liked the special effects, sound, motion and i will search for more later on:) It shows, once again, that chess can be used as a great source of inspiration in different fields. And, as Sytze Faber said: "We must make sure that Chess will not be like a dead language, very interesting, but for a very small group". Last few days i discovered, over internet and my husband's books, interesting facts about chess and chess players. So why not to share them with you? Which means that from now on, i will post every Thursday a chess question and you are more than welcome to reply. The answer will be written after one week, when i will post the new question. Also, if you know other intersting topics related to chess and chess players, don't hesitate to write me and i will post them on my blog. Thanks! And ENJOY! The first Trivia question: What do Bobby Fischer and Barbra Streisand have in common? The chess player Erwin l’Ami faces a great new challenge. Coming from Woerden, 25 years old, he will participate in the Grandmasters A Group from the Tata Steel Chess Tournament in Wijk aan Zee, one of the strongest tournaments in the world. There he will encounter, amongst others, the top 4 chess players in the world’s rating list. The invitation for Erwin l’Ami is surprising, because normally the Dutch chess players could play in the tournament’s A-Group (recently the name has changed from Corus into Tata Steel Chess Tournament) only by obtaining the national title or by winning the B-Group of the tournament. The tournament director Jeroen van den Berg explains this as follows: ”We chose him not only because of his steady chess growth, but also because of his solid style. He is more or less unbeatable. At the same time, Erwin’s chess style of making many draws, makes it practically difficult to win the national championship or the B-group. Amongst the 14 players in the A-group, we also find two other active Grandmasters. Jan Smeets, the same age as l’Ami and former national champion, is playing for the third time in a row. The third is 16-year old Anish Giri. The youngest Dutch champion in history, assured his Grandmaster title in 2009 in Wijk aan Zee, at the time the youngest grandmaster in the world. He won last year’s B group, leaving l’Ami behind him. Loek van Wely, in the past a regular participant of the country’s most famous chess tournament, announced he will spend the upcoming year with other things besides chess. Van Wely, Giri and l’Ami were members of the Oranje Equipe which participated in the Olympiad in Siberia. With two potential participants is still being negotiated, but it is already obvious that the tournament - which will be held in the second part of January 2011 and traditionally attracts a lot of chess fans who try to get a prize in one of the lower groups – will be stronger than the previous edition. Certain is the participation of the world’s number 1 to 4 of the current world ranking list: Viswanathan Anand from India (World Champion), the young Magnus Carlsen (Norway), Vladimir Kramnik (Russia) and Levon Aronian (Armenia). The Bulgarian Veselin Topalov who is currently number 5 and recently lost the world championship final against Anand, couldn’t come to an agreement with the organizers. WOERDEN. During the Chess Olympiad in Siberia, Erwin l’Ami performed well: his score of 4.5 points out of 8 games was a fraction higher than his rating would have predicted. He was not satisfied though, because his only loss was in the crucial 8 round. Untill that moment The Netherlands was still in the race for the first spots, but the 3-1 loss against Israel ended that. “Very unpleasant since it sent us off the right path” recollects the chess player from Woerden with guilt. That doesn’t change the fact that Erwin l’Ami, in Siberia, was one of the most stable players in the team, together with countryman Anish Giri. His participation in the prestigious Corus-tournament in Wijk aan Zee had by then - in big secrecy - been confirmed. In the coming months tournaments in Hoogeveen and Wolvega are scheduled for the chess player from Woerden. Besides that, he planned training sessions with national coach Vladimir Chuchelov, the Bulgarian Ivan Cheparinov and Daniel Stellwagen. Yesterday, our dutch teams: HSG 1 and HSG 2, won their matches in the dutch league. I won a difficult game, still needs to be checked with the computer:) and my husband drew. But it is clear we are still very tired after the Olympiad. More information about the competition here! There is always a moment in life when you realize you can do more things than you ever thought. Like me few minutes ago: just broke into my husband's parents house, because he forgot the keys inside of the door. There was absolutely no normal way to enter...on the back door, the keys were also inside...so, what to do?! Besides showing my burglar skills?! I tried different ways: climbing fences, calling some people, i also became desperate at some point...many methods i saw on movies...nothing worked. But all i needed was a piece of cable and patience. We are finally in the house, enjoying our computers:) They did a great job while we were out, they were calculating! So, Erwin just discovered some new ideas for Wijk aan Zee, which means, the time was successfully used!